Apple just unveiled its fourth generation iPad today, as well as the iPad mini, but it also basically just screwed over anyone who bought an iPad recently. A good friend of mine pinged me yesterday asking if her father, who had just purchased "the new iPad" the day before was going to want to return it. "I honestly don't know," I replied. It was hard advice to give, because we weren't 100% sure that Apple was going to refresh its larger iPad today. But it did. And that's a tough pill to swallow for anyone who just bought the "new iPad." Thankfully my friend's father can take advantage of Apple's 14-day return window, and some stores are apparently accepting 30-day returns, but that doesn't apply to everyone. Here's what irks me: Apple's advertising is blatantly laughing in the faces of anyone who made a recent iPad purchase. "Just as stunning. Twice as fast," the company's website says. And it is. 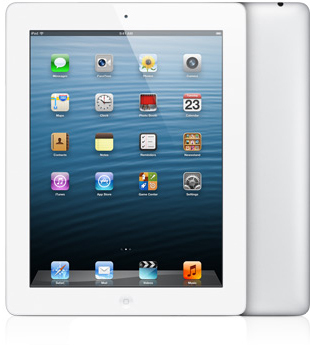 The new fourth generation iPad, also known as the iPad with Retina Display, has a much faster dual-core A6X processor with quad-core graphics. Sure, that's actually really great and I'm glad Apple didn't just toss a lightning connector in it and call it a day. The fourth gen iPad still looks the same and offers access to iOS 6, but it also now supports Sprint's 4G LTE network, which anyone who was shopping for an iPad up until today didn't have the benefit of considering, and has Apple's new Lightning port connector. It also starts at the same $499 price point for 16GB. I understand why Apple released the fourth generation iPad, I just don't understand why it decided to so closely to the launch of the "new iPad." We only reviewed the "new iPad" last March, which means it has only been seven months since the device was in consumer's hands. Most consumers probably weren't expecting a new iPad so soon, but it at least makes sense for Apple to start refreshing its iPads ahead of the holiday shopping season. I'm guessing the company will hold a similar event around this time next year, too. It would have been a kind gesture of Apple to allow anyone who purchased the "new iPad" in, say, the two months or so to return it for the new model. But it hasn't made that a policy yet. It's the most valuable company in history for a reason, right?